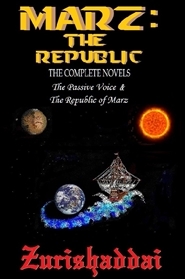 Get the first two complete novels of the Martianz Trilogy in one convenient paperback containing THE PASSIVE VOICE and THE REPUBLIC OF MARZ. 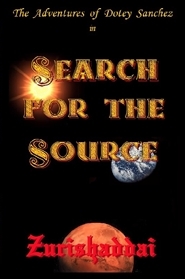 Follow the 400 plus year life of one man as he develops true democracy on two planets. Zurishaddai offers 2 complete novels in 1 convenient paperback. 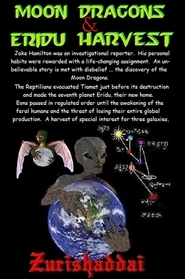 In “Moon Dragons” you experience a different twist to the popular report of aliens and abduction. The story continues in "Eridu Harvest". The Tiamati Dragon Cartel is ready to proceed in the largest harvest in their history. A global production of Eight Billion, bound for three galaxies, could be loaded in two days. Unfortunately for many of the feral humans, their awakening may be too late. 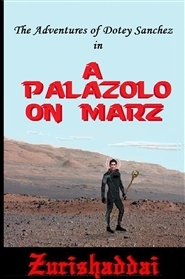 This completes the Martianz Trilogy and begins the Adventures of Dotey Sanchez. The next step in human evolution is now living on Marz. This is one man's search for real democracy and true freedom while enjoying spiritual growth not possible on Earth.